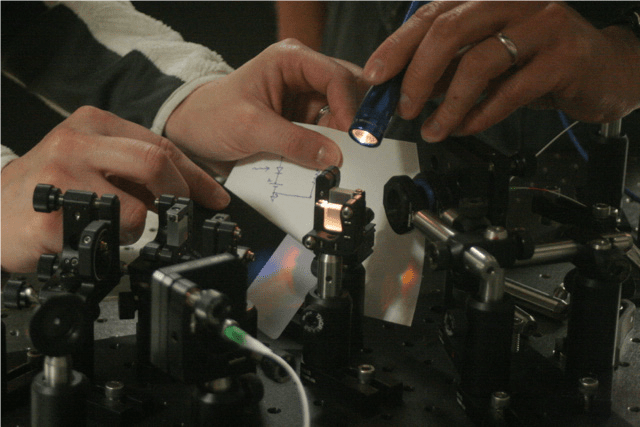 ALPhA organizes periodic conferences dedicated to advanced physics laboratory instruction. These conferences bring together laboratory instructors and commercial equipment vendors to share effective lab curricula, teaching methods, and experiments. Each conference includes speakers, small-group hands-on laboratory workshops, poster sessions, and time for discussion and networking. The Beyond the First Year (BFY) Conference is our national 3-day meeting and is on a 4-year cycle. Regional Conferences occur in non-BFY years and are day conferences. In addition, ALPhA has open meetings at the AAPT and APS meetings. ALPhA Open Meeting at AAPT Summer Meeting in Provo, UT. Time for meeting is Monday, July 22, 12-1:30 pm. 2019 New England Regional Meeting at Holy Cross, June 13, 2019. 2022 Conference on Laboratory Instruction Beyond the First Year of College (BFY IV) - in conjunction with AAPT SM22. Location of meeting is TBD though it will probably be in Pacific Northwest. Beyond the First Year (BFY) Conferences are National Meetings of ALPhA where we discuss advanced laboratory experiments, curriculum, and teaching beyond the first year of college. BFY Conferences are held just before the American Association of Physics Teachers (AAPT) Summer Meeting. Currently, we are on a 4 year cycle with the next meeting being held in 2022. 2018 Conference on Laboratory Instruction Beyond the First Year of College (BFY III) at Loyola University Maryland, July 25-27, 2018. Compadre Conference Proceedings for 2018. 2015 Conference on Laboratory Instruction Beyond the First Year of College (BFY II) at the University of Maryland, July 22-24, 2015. Compadre Conference Proceedings for 2015. 2009 Topical Conference on Advanced Laboratories, at the University of Michigan was cosponsored by ALPhA, AAPT, and the APS. This conference drew widespread interest and over a hundred attendees, and confirmed the need for more focus on the advanced laboratory instruction. Regional Meetings bring together local ALPhA members to discuss advanced laboratory experiments, curricula, and teaching. Please see our Information about Regions to locate your Region or to find out information about your local Regional Director. In addition, ALPhA sessions have been held at AAPT/APS meetings. 2017 New England Regional Meeting at Amherst College, June 14, 2017.